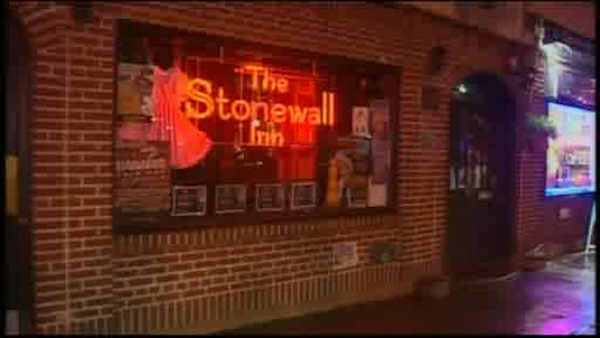 NEW YORK -- Two New York legislators are launching a campaign to designate the Stonewall Inn in Greenwich Village as the first national park site honoring LGBT history. Sen. Kirsten Gillibrand and U.S. Rep. Jerrold Nadler are making their announcement in front of the tavern that was the scene of a 1969 uprising that was a key moment for the nascent gay rights movement. Gillibrand and Nadler, both Democrats, are being joined by other elected officials, plus members of the National Parks Conservation Association. National parks can only be created by an act of Congress. They include sites of cultural or historic importance. Stonewall would be the first park representing the LGBT community, while symbolizing the fight for equal rights.